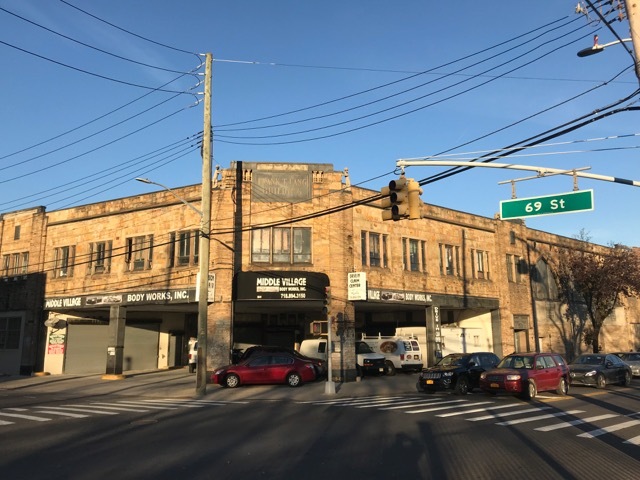 Weird cats of Queens — CTA Architects P.C. Perhaps you have found yourself walking near the corner of 69th Street along Metropolitan Avenue in Middle Village, Queens, or were stuck in slow moving traffic there; glanced over to the West away from the cemeteries, and found yourself looking at a series of Tim-Burtonish carved cats atop a stone faced car repair shop. 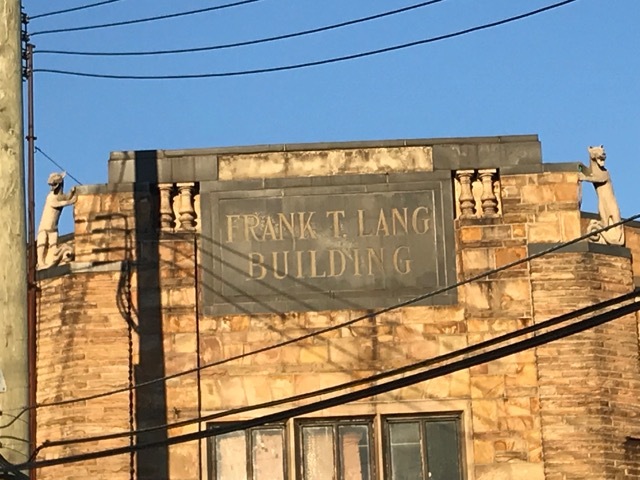 Well congratulations - you have just remarked the Frank T. Lang Building. Built in 1904 by the eponymous Mr. Lang a German immigrant stone mason as a show-piece and house his mausoleum and monument fabrication work shops and business offices right in the heart of the cemetery belt, it operated as such until 1946. Subsequently it housed a number of knitting mills and auto-repair shops. I encourage you to take a trip to the Middle Village end (AKA the cool end !) of the M train, a very nice ride on an elevated track, step out of the Metropolitan Avenue Station, turn right and stroll on a few blocks. (There’s an Arby’s at a strip mall across the way if you get hungry and a taxidermy shop on the next block if you need a last minute present too). This handsome building is faced with what appears seam faced granite AKA Plymouth Granite, quarried in South Weymouth Massachusetts; also the birth place, quarry if you will, of CTA Partner Mr. Dan Allen. Small world.